R.I.P. EDGAR FROESE. 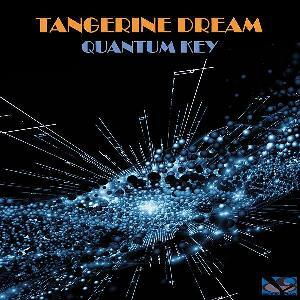 This EP, released after January 2015, is the last official studio recording from TANGERINE DREAM with its founder and the ultimate testimony of his genius. It is also the last of "cupdisc" series. The first half is my favorite. The opening track, "Genesis Of Precious Thoughts", is supposed to be part of the forthcoming album "Quantum Gate". It is the highlight of the record, with various changing cosmic atmospheres and a mesmerizing final part. "Electron Bonfire" is the trippy moment of the album, with Froese's floating guitar and energic pulsating rythms. The second half is unfortunately not as good. I do not find "Drowning in Universes" this interesting, this track is a bit long. Edgar did not participate at the composition of "Mirage of Reality". This short piece is enjoyable, nothing more. Although composed nearly 40 years after their electronic music pioneering days, the result achieves at being modern without losing the original spirit of the band. This is remarkable. Very few artists can accomplish such things with such longevity. Thank you Edgar for your audaciousness, your talent and simply... your visionnary music.